Subscribe now for access to your own curated energy market portfolios. Customize your portfolios to stay on top of the infomration you care most about. 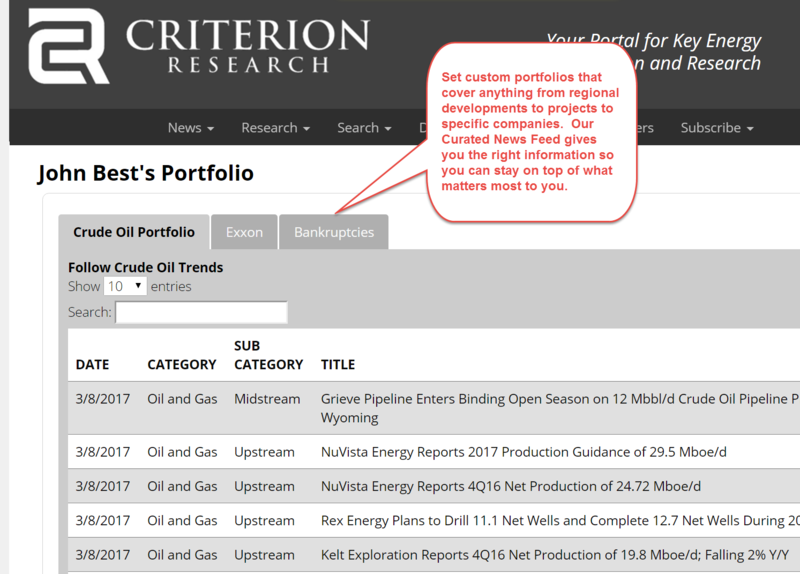 Every day, Criterion Research analyzes hundreds of press releases, government filings, investor presentations and other data sources to provide subscribers with up-to-date and relevant information. This daily stream of information is analyzed and transformed into several different products that are accessible to customers through the Research Tab.